Cambodia. 1975 Khmer Rouge. True Story of Survival. One of seven children of a high-­ranking government official, Loung Ung lived a privileged life in the Cambodian capital of Phnom Penh until the age of five. Then, in April 1975, Pol Pot's Khmer Rouge army stormed into the city, forcing Ung's family to flee and, eventually, to disperse. Loung was trained as a child soldier in a work camp for orphans, her siblings were sent to labor camps, and those who survived the horrors would not be reunited until the Khmer Rouge was destroyed. 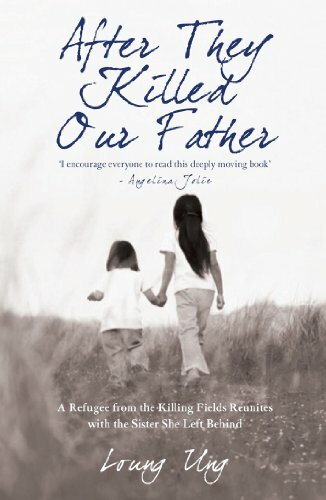 Written in the present tense, First They Killed My Father will put you right in the midst of the action--­action you'll wish had never happened. It's a tough read, but definitely a worthwhile one, and the author's personality and strength . . .
After enduring years of hunger, deprivation, and devastating loss at the hands of the Khmer Rouge, ten-­year-­old Loung Ung became the "lucky child,­" the sibling chosen to accompany her eldest brother to America while her one surviving sister and two brothers remained behind. In this poignant and elegiac memoir, Loung recalls her assimilation into an unfamiliar new culture while struggling to overcome dogged memories of violence and the deep scars of war. In alternating chapters, she gives voice to Chou, the beloved older sister whose life in war-­torn Cambodia so easily could have been hers. Highlighting the harsh realities of chance and circumstance in times of war as well as in times of peace, Lucky Child is ultimately a testament to the resilience of the human spirit and to the salvaging strength of family bonds. 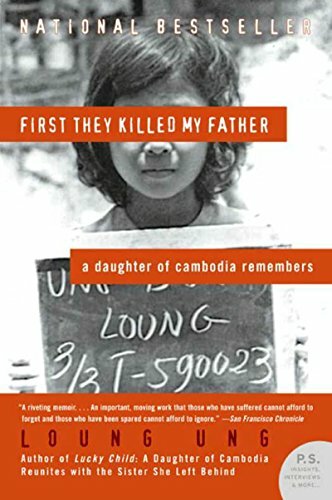 Concluding the trilogy that started with her bestselling memoir, First They Killed My Father, Loung Ung illuminates her struggle to reconcile with her past while moving forward toward happiness.­When readers first met Loung Ung in her critically acclaimed memoir First They Killed My Father, she was a young, innocent child in Cambodia. But forced by the Khmer Rouge into the life of a child soldier, she soon found herself locked in a desperate struggle for survival in Cambodia's notorious killing fields. In Lucky Child, her life took a turn. As a refugee in Vermont, she grappled with post-­traumatic stress, cultural assimilation roadblocks, and the abandonment of her sister in Cambodia. Now, Lulu in the Sky tells the next chapter in Ung's life, revealing her daily struggle to keep darkness and depression at bay while she attends college and falls in love with Mark Priemer, a Midwestern archetype of American optimism. Lulu in the Sky is the story of Ung's tentative steps into love, . . .
Loung ha solo dieci anni quando, al termine di un'estenuante odissea, arriva negli Stati Uniti. Per lei, fuggita dalla criminale follia del regime sanguinario dei Khmer Rossi, libertà è avere uno spazio minuscolo tutto per sé, lenzuola divertenti con buffi topi e strani paperi, e cose buone da mangiare, dopo le radici divorate per placare la fame perenne. Ha mille nuovi significati la libertà, anche una ciotola piena di nastri per i capelli, tanti, colorati. Nei campi di lavoro forzato dove è stata rinchiusa a soli cinque anni, e in quello di addestramento dove è diventata una bambina soldato, i colori erano proibiti, e così ogni abito che non fosse la divisa nera. Volersi distinguere era segno di vanità, e come tale punito a bastonate. Per questo affondare le dita in quei nastri le strappa un sorriso di vittoria, insieme a un moto di nostalgia per l'amata sorella Chou, rimasta in Cambogia: non c'erano i soldi per far partire anche lei. Il distacco è stato lacerante, un nuovo . . .
One of seven children of a high-­ranking government official, Loung Ung lived a privileged life in the Cambodian capital of Phnom Penh until the age of five. Then, in April 1975, Pol Pot's Khmer Rouge army stormed into the city, forcing Ung's family to flee and, eventually, to disperse. Loung was trained as a child soldier in a work camp for orphans, her siblings were sent to labor camps, and those who survived the horrors would not be reunited until the Khmer Rouge was destroyed. 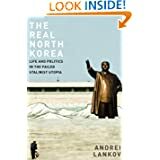 Harrowing yet hopeful, Loung's powerful story is an unforgettable account of a family shaken and shattered, yet miraculously sustained by courage and love in the face of unspeakable brutality. 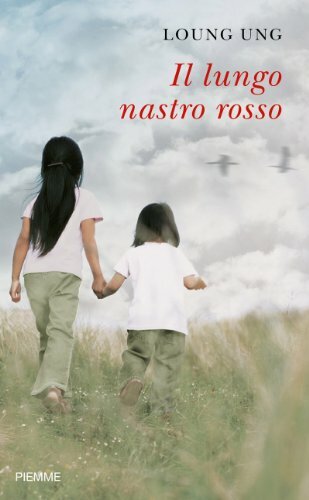 She and her eldest brother, with whom she escaped, left behind their three surviving siblings, and her book is alternately heart-­wrenching and heart-­warming, as it follows the parallel lives of Loung and her closest sister, Chou, during the 15 years it took for them to be reunited. 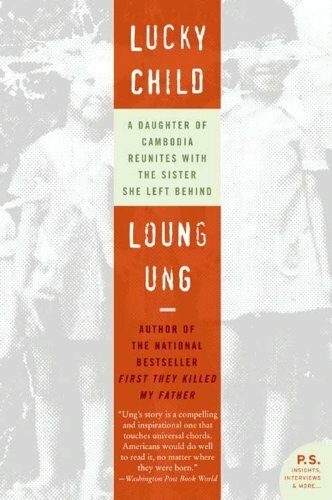 Their two worlds were very different, and Loung's depiction of the contrast between her life in the affluent West and that of her sister, who navigated her way through landmine-­strewn fields and survived raids by the Khmer Rouge, is laced with the guilt she feels about being the lucky one.